Registered nurse schools in Alabama provide the requisite program to the candidates that instruct them how to examine the patient’s symptoms, diagnose the tests and analyze the results. An RN must be able to provide support to the patient’s family with his/her good communication skills. Besides, one also learns to operate the medical machinery, explain home care procedures to the patients, help patients with follow up and provide the best care possible. The candidate must be eighteen years old or above. The applicant must have legitimate photo identification (like passport, driving license, or state ID). The aspirant must finish his/her high school and submit the GED documentation. The student is expected to submit a complete residency verification form. You must not be involved in any felony. It is mandatory for the candidate to clear the drug test. To seek admittance into the desired program, you will have to fill the admission form and provide the correct information while filling it. The following pathways will help the prospective aspirants to begin their nursing career. ADN: An Associate Degree in Nursing is a broad-ranging program that prepares professional nurses, so that they can deliver nursing services in an array of settings, such as clinics, long-term care centers, hospitals, and other health-related facilities. The coursework includes classroom sessions with supervised clinical experience. It gets finished in 2 years and for this, you will need to spend $14,425 per year. BSN: This program introduces you to the fundamentals of nursing and its various components. It is a four-year program, which will cost nearly $20,000 to $30,000 (annually). The first 2 years of the module includes courses in the biological and humanities, physical and behavioral sciences that develops a strong foundation, and the remaining 2 years consist of clinical and non-clinical nursing education. Direct Entry MSN Program: Itis for those, who hold a bachelor degree in some other field, but don’t possess nursing experience. The curriculum of this program provides essential knowledge and prowess required to become an RN. Accelerated BSN Degree: This program involves a meticulous coursework and is intended to develop nursing skills among those students, who belong from a non-nursing background. It is a fast track coursework that takes 12 to 18 months to complete. RN to BSN Program: This program takes your career to new heights as it equips RNs with a unique educational concept. Registered nurses have a chance to enrich their skills by pursuing this coursework. LPN to RN: LPN to RN track is designed for those licensed nurses, who want to become an RN. 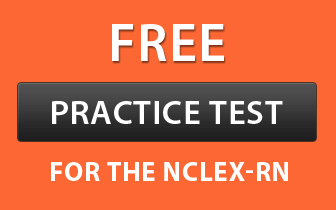 After completing this course, nurses can take the NCLEX-RN exam for licensure. Apart from above degree courses, master and doctoral programs are also available that will enhance your proficiency. MSN: Master of Science in Nursing prepares leaders for advance nursing roles, such as clinical nurse specialist, administrator, nurse practitioner, nurse-midwife, and consultant. Every student must select an area of specialization before applying for the MSN program. This curriculum offers current knowledge and expertise to the professional RNs. Doctor of Nursing Practices (DNP): DNP is the highest level of degree that heavily focuses on practice-based education, quality improvement, clinical expertise and patient safety.